Dale Palmer & Associates would like to congratulate Gustavo on the purchase of his 2 bedroom condo at Top of the Mile South located directly on A1A. Thank you very much for using us for your purchase. Top of the Mile South is located on the west side of A1A, north of Oakland Park Blvd in the Galt Ocean Mile area. What a great location across the street from the beach and just a few blocks to downtown Lauderdale by the Sea as well as all the restaurants and shops located around the Galt and A1A. The city of Fort Lauderdale is known as a beach resort destination and purchasing a condo off A1A is one of the best locations in Fort Lauderdale. Beach, grocery shopping restaurants and shops are within a few blocks. This 2 bedroom, 2 bath condo features impact doors and windows, updated kitchen, large master, washer and dryer in the unit and an extra large triple balcony looking east out over A1A. Low maintenance fees and underground parking are real positives at Top of the Mile South. please see some of our more popular webpages. Dale Palmer & Associates would like to congratulate John for the purchase of this beautiful condo in Coral Ridge Towers. Coral Ridge Towers is located just north of Oakland Park Blvd off A1A. Walk to the beach, restaurants, Galt Ocean Mile shops are just a few of the perks for living so close to the beach. This Co-op complex is very popular, located just a couple of blocks from the ocean. There’re several buildings in the complex with long range views of the ocean and intracoastal waterway. This unit that John purchased has beautiful north views up the intracoastal waterway and was completed renovated. Thank you John for using us in the purchase of your condo. Hope you enjoy those beautiful views! city of Fort Lauderdale, please contact-us today or call 954-895-8999.
please see our website pages. Dale Palmer and Associates would like to congratulate Frank Famiano on his purchase at East Point Towers condo and thank him for using our services! This 10th floor Fort Lauderdale waterfront condo has spectacular river and ocean views as you can see from the pictures. One bedroom, one and a half bath waterfront condo is one of the largest 1 bedrooms in the building. Having the convenience of a washer and dryer in the unit is a plus, but the building does offer laundry facilities to residents who choose not to have those appliances in their condo. 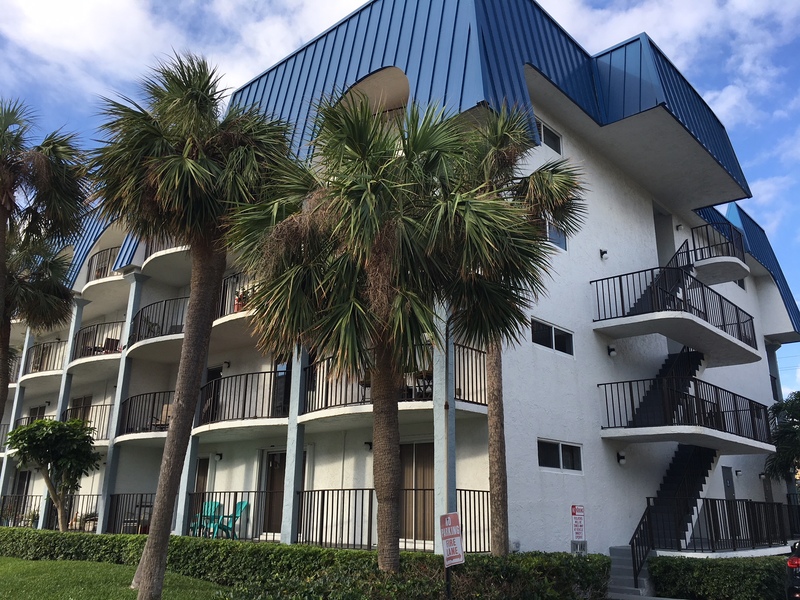 Located on the riverfront, this well-maintained building was constructed in 1973 east of Interstate 95, directly on Federal Highway and only about 3/4 of a mile to the beach. Amenities offered to its residents are a heated pool, sauna, exercise room, gas bbq area, a garage, a library, and a boat dock where residents share common access for boating. These are just a few of the too-many-to-list amenities at East Point Towers. 24 hour security is on premises for the safety of its residents and visitors. The building has a guard on site and a lovely lobby for arriving guests to wait in while they are being announced to residents. East Point Towers is centrally located with easy access to the beach, airport, restaurants, downtown, and shopping. To see condos in this waterfront building, or ones similar, simply contact us and we’ll arrange of you to see them right away! contact us today for your private showing. Dale Palmer & Associates would like to congratulate Joe Large on his purchase of this beautiful Fort Lauderdale waterfront condo. We thank you very much for using us in your purchase. This 8th floor waterfront condo has long range north views of the waterway, and ocean in the distance including sunrise and sunset views. 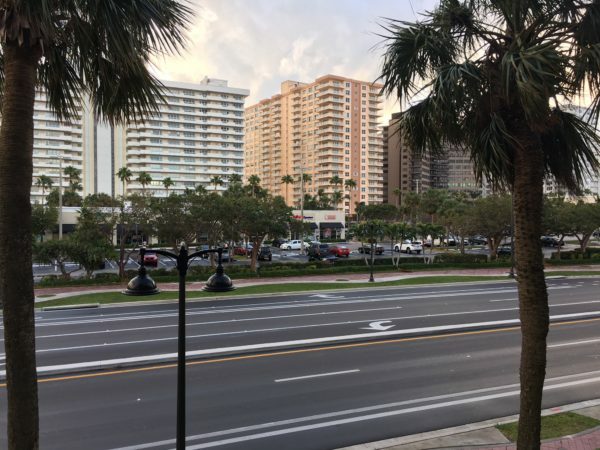 East Point towers is located on the corner of US1 and Sunrise Blvd, just a short distance to the ocean, a few blocks to the Gallery Mall, restaurants and shopping. I can’t wait to see the view at night. 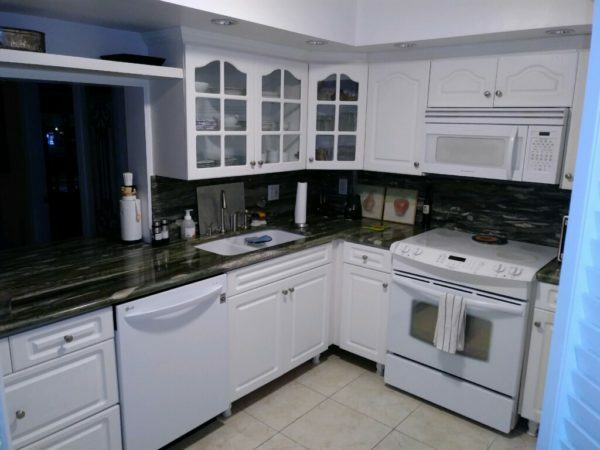 This 1 bedroom, 2 bath condo is 1150 square feet and has been somewhat updated but does need some updating in the kitchen. The previous owner took such good care of the unit that it was extremely clean, so there’s no rush in getting the updates done. Fort Lauderdale Oceanfront Condos For Sale. Fort Lauderdale Waterfront Homes, Wilton Manors Real Estate. Dale Palmer & Associates at 954-895-8999 or contact us today. Dale Palmer & Associates would like to congratulate Denis on his purchase of this 1 bedroom Fort Lauderdale condo in Victoria Park Towers. We thank you for using us in your purchase. Victoria Park Towers is in a great location in Fort Lauderdale being just a few blocks to restaurants, shops and the Galleria Mall, a short 1/2 mile to the beach and holiday park in the beautiful Victoria Park neighborhood. search for other active listings from our MLS system. To see other active listings from our MLS system, please see our webpage. 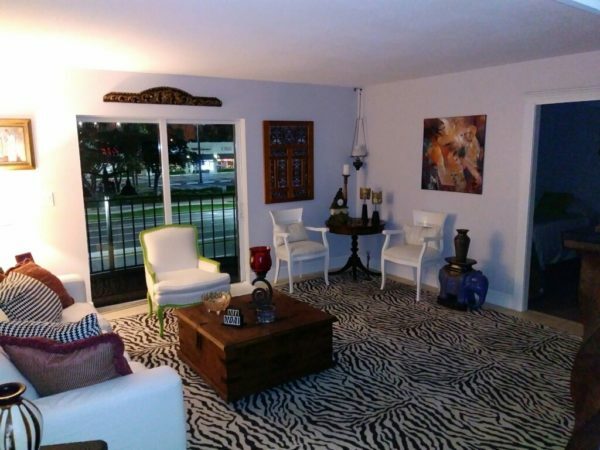 Fort Lauderdale Condos for Sale.